• More housing units for local residents – Lack of affordable housing affects many families trying to make ends meet. That’s why increasing production in this area is a top priority for my administration, and our efforts are paying off. We’ve set aside $180 million in private activity bonds to develop more than 2,600 affordable rental units. This is more than double what was invested in the past. We also worked with the Legislature to improve financing tools and obtain $100 million to support development of affordable housing. 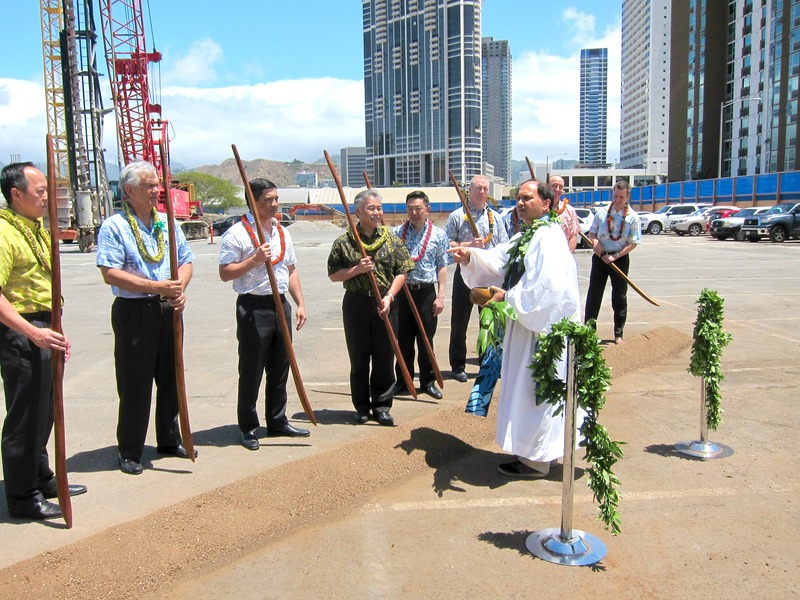 The housing supply in Kaka‘ako increased by 2,260 units (44 percent of them affordable) with more units planned. • Planning launched for a new future in Kalihi – The Kalihi 21st Century Vision Team, a group of dedicated community leaders, is shaping a vision based on “smart growth,” the possible relocation of the O‘ahu Community Correctional Center (OCCC) and planned rail transit stations. A draft will be available for more community input in 2017. 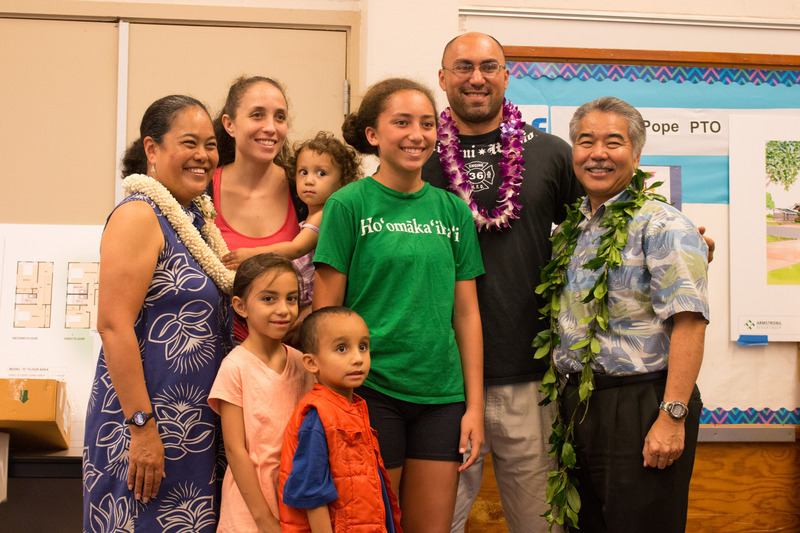 A happy family with DHHL director Jobie Masagatani (left) in Waimanalo. • More homestead lots for Native Hawaiian families – This year 444 lots were prepared for house construction by the Department of Hawaiian Home Lands (DHHL). In the fall, dozens of families chose lots in two Waimānalo subdivisions. DHHL also delivered nearly 100 affordable housing opportunities on Hawaiian Home Lands statewide through public-private partnerships with self-help housing organizations, private developers and others.